I had a couple of introductory paragraphs to this reading diary, about how at school I was often called names because of my choice in books… But I decided not to use it. Mostly because I’ve been sitting on this post for over a week as it contains negative reviews of two of the books on this year’s Clarke Award shortlist. I’ve seen other commentary on the two books, and I appear to be in a minority with my views. And we all know these days that reviews are expected to be little more than warmed-over marketing copy. As for the Clarke shortlist itself, I’ve now read five of the six books. One of them deserves to win, two of them I suppose a case could be made for their presence (although I wouldn’t do it), and two should never have made the cut. By all accounts, the book I’ve yet to read is no better. But then every year there’s been one or two books on the shortlist whose presence is baffling. This year, it feels like a somewhat shapeless shortlist, more like fannish selections than the picks of literary judges. That may be an unintended consequence of the huge number of submitted books (ie, judges’ choices spread wider, more compromises needed to pick the final six), but that’s just speculation. The Clarke Award shortlist for 2016 is what it is. And sadly, given recent complaints in various quarters about a lack of critical commentary on the award, it’s not a shortlist that especially invites critical commentary. 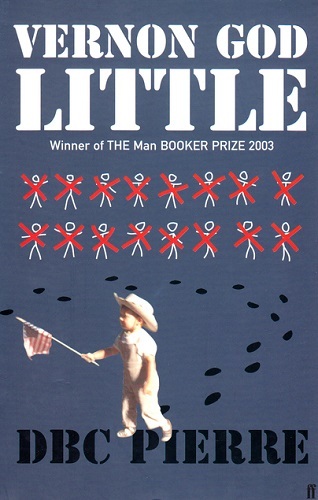 Vernon God Little*, DBC Pierre (2003). You know those comic novels which are supposed to be funny but aren’t, and where the narrator’s voice is supposed to be funny but isn’t… well, this is one of them. There has been a tragedy in the Texas town of Martirio. Vernon’s best friend, Jesus, has gunned down several of his schoolmates, and Vernon is still under suspicion as an accomplice. (He’s innocent, but no one particularly cares – Jesus is dead, and Vernon makes a good scapegoat). This is one of those novels where the entire cast are white trailer trash, and that’s sufficient to present them as comedy characters. Ignorance may be fertile soil for comedy, but there’s a right way to handle it and a wrong way. There’s a meanness to the characterisations in Vernon God Little which makes for unpleasant reading. It doesn’t help that Vernon is a thoroughly unlikeable narrator, nor in fact that none of the characters in the book are at all likeable – most, in fact, are closer to caricature than character. How this book won the Booker Prize is a mystery; how it was picked for the 1001 Books You Must Read Before You Die list is an even bigger mystery. One to avoid. The Nowhere Hunt, Jo Clayton (1981). This is the sixth book in Clayton’s nine-book Diadem series, which also spun off a pair of trilogies about one of its minor characters. Although the series started out as peplum space opera (I’m determined to use that phrase, now that I’ve coined it), it soon drifted into standard 1970s space opera, a sort of Dumarest Saga with a female Dumarest – albeit with lots of special snowflake superpowers. Clayton seemed to have dialled back the violence and abuse as well by book four, but unfortunately this one sees a return to it. 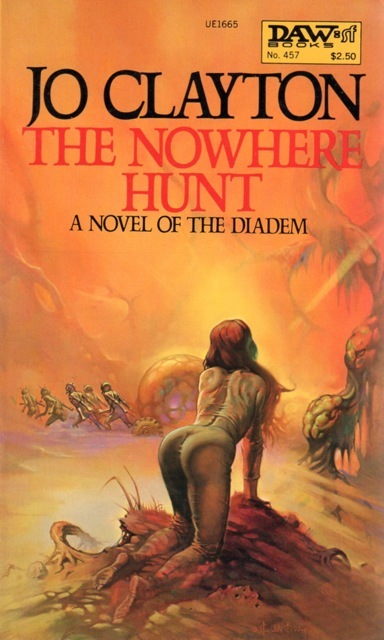 I reviewed The Nowhere Hunt on SF Mistressworks – see here. 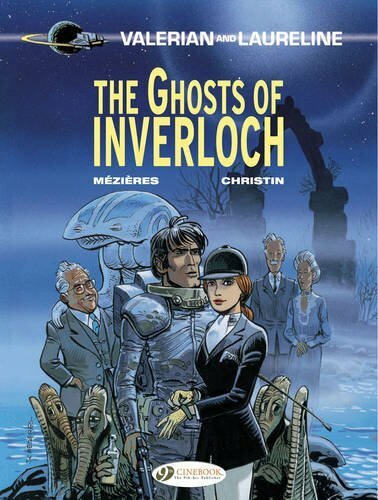 Valerian and Laureline 11: The Ghosts of Inverloch, Jean-Claude Mézières & Pierre Christin (1983, translated 2016). I had always thought the Valérian agent spatio-temporel series comprised individual stories, but it seems there is a story-arc slowly beginning to appear. It’s not just that the previous two volumes, Métro Châtelet, Destination Cassiopeia and Brooklyn Station, Terminus Cosmos, formed a two-part story, nor that The Ghosts of Inverloch is also the first of a two-parter (with the yet-to-be-published-by-Cinebook The Wrath of Hypsis), but the story in The Ghosts of Inverloch does refer to the preceding two-parter and even to the first book in the series, The City of Shifting Waters. As it is the plot of The Ghosts of Inverloch is a bit on the thin side – Laureline is already in residence at the eponymous Scottish castle, but Valerian must first capture a Glapum’tian from the planet Glapum’t, which he manages to do within a couple of pages. He then heads – through time and space – to Inverloch Castle. Others are also making their way to the castle, including the head of the Spatio-Temporal Service, Valerian and Laureline’s boss… The reason why, unfortunately, is left to the following volume. Despite their episodic nature, the Valerian and Laureline series is superior space opera. And Luc Besson is making a film based based on it. I can’t wait. Women in Love*, DH Lawrence (1920). This is a sequel of sorts to The Rainbow, inasmuch as it continues the story of Ursula and Gudrun Brangwen from that novel. 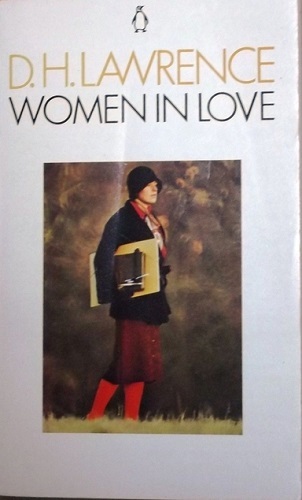 Wikipedia claims the two books were planned as one big novel but split by the publisher, but the introduction to my edition of Women in Love contradicts this – in Lawrence’s own words. He was driven out of London in late 1915 by The Rainbow obscenity trial, a libel suit and his vocal opposition to the Great War (which made him a lot of enemies in London society), and settled in poverty in Cornwall. After recovering from illness, he started work on Women in Love – “a sequel to The Rainbow, though quite unlike it”. Certainly, the two books are not big on rigour, and Women in Love might be better considered an entirely new novel whose leads share their names, and some background details, with the Brangwens of The Rainbow. Lawrence apparently wrote it very quickly, but it took four years before it saw print. Gudrun is an artist, returned to the family’s Nottinghamshire home village after a few bohemian years in London. Ursula is a teacher in a local school. She is attracted to school inspector Birkin (a stand-in for Lawrence himself), while Gudrun takes up with Gerald Crich, son of the local coal-mining magnate. The novel charts the two couples’ relationships through a series of (mostly) tragic incidents. You don’t read Lawrence for the plots, which is just as well as he tends to meander. And his characters usually read like they’re dialled up to eleven (so many! exclamation marks! It seems somewhat excessive to a modern reader). But there’s also lots of philosophising and discussions of Lawrence’s often bonkers ideas on art and life. Birkin especially is fond of lecturing the other characters, often at great length. And, of course, there’s Lawrence’s lovely descriptive prose. Women in Love is a… meatier novel than Sons and Lovers or The White Peacock; but it’s also a novel that disappointingly seems to treat the working-class like noble savages (and especially disappointingly so after Sons and Lovers). With its cast of minor gentry, teachers and artists, Women in Love is very middle-class, almost as if Lawrence’s years in London turned him into a social climber (and Birkin suggests as much in Women in Love). I have that absolutely enormous three-volume biography of DH Lawrence on my bookshelves. One of these days I’ll have to read it. Way Down Dark, JP Smythe (2015). 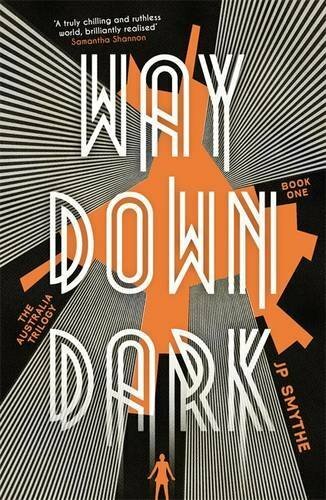 I am not in the slightest bit interested in YA – although I do like Smythe’s non-YA novels, and think they’re very good – but Way Down Dark was shortlisted for the Clarke Award this year, so I picked up a copy and read it and… I’m frankly mystified why it was shortlisted. It may well be better-written than the average YA, but it’s just one long litany of death and violence in a science-fictional setting which doesn’t hold up to a moment’s scrutiny. For a book to be on a major genre award shortlist, I expect more than just a nice turn of phrase. I’ve seen some of the commentary about Way Down Dark, and I am I admit not in the slightest bit familiar with the YA market… So perhaps it’s a YA thing that the background doesn’t make sense. It’s supposed to be a generation ship, but turns out to be a prison. In orbit. So where does the gravity come from? Not acceleration, since it’s not moving. And the decks are made of grating, so where is the artificial gravity hidden? There are “over ninety” of these open decks, and people live in cubicles they’ve made from salvaged sheets of metal and curtains. Chan, the protagonist, tells us that her mother moved them from higher up the stack to halfway down because it was nice and warm – yet the very bottom of the stack is apparently not too hot to live in. Because that’s where the Lows, who are straight out of Mad Max Central Casting, live. Then there’s the Pit, which is the floor of the well around which the decks are arranged. It’s a festering pool of dead bodies and rubbish…because people throw bodies and garbage there. As you would. The book doesn’t say how long the ship/prison has been occupied, but at least three generations are mentioned in the book, and since no one seems to remember they’re actually prisoners that suggests at least a century. In the centre of the Pit, under the rotting flesh and blood and trash, is a secret entrance to the guards’ quarters. Ignoring the fact that no sane person would go wading into a stinking soup of decomposing corpses, or even put their head under it, masked or not… there’s also the fact that initially the entrance would not have been hidden, and could not have been intended to be hidden, as who would design a prison with the expectation that inmates would throw bodies down into the Pit? The ship/prison is also called Australia… I hope there’s an explanation in a later book to explain the name (Way Down Dark is very much incomplete and the first part of a trilogy), but even so, in light of the book’s setting there’s a lot of… baggage there. This is, I believe, the third time a YA novel has made the shortlist – the other two were Monsters of Men by Patrick Ness in 2011 and The H-Bomb Girl by Stephen Baxter in 2008. Tellingly, only one of the three is by an actual YA author. Personally, I don’t think YA should be considered by the Clarke Award, and there’s nothing in this novel to cause me to reconsider that. It makes for an odd read. 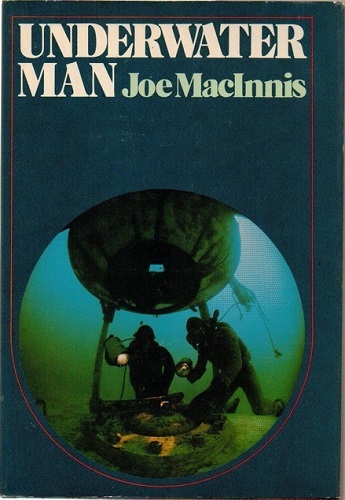 Fascinating stuff nonetheless, and MacInnis is an important figure in the field – he’s still going, his last book was published in 2012 (although I only have his 2004 book, Breathing Underwater, as well as Underwater Man). 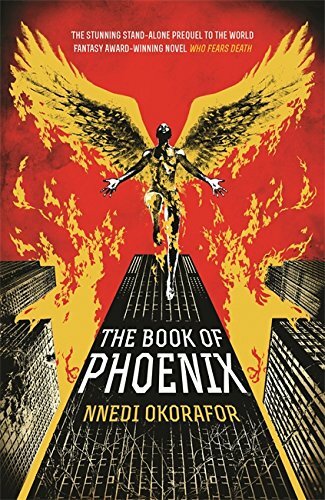 The Book of Phoenix, Nnedi Okorafor (2015). And from a shortlisted book written for teenagers to one that reads as though it were written by a teenager. Okorafor seems to be having a Moment this year: ‘Binti’ was nominated for the Hugo, Nebula and BSFA Awards, and won the Nebula; and The Book of Phoenix is on the Clarke Award shortlist. This novel is apparently a prequel to 2010’s Who Fears Death, which I’ve not read – and I don’t think I’ll be bothering to do so, either. The protagonist of The Book of Phoenix is a genetically engineered “SpeciMen” (a particularly ugly coinage). Although only two years old, she has the body and mind of a forty-year-old African woman. We’re told she was called Phoenix after the city in Arizona, but the book then later says her mother gave her the name – so it’s a massive coincidence that her genetically-engineered superpower is the ability to combust and then be reborn from her ashes. Oh, and she can fly – she has wings. And later she can “slip”, which is sort of teleporting in time and space. And she can generate heat inside her body too. She starts the book as a prisoner in Tower 7, a LifeGen facility in a post-climate-crash New York. She escapes by destroying the building, and flies to Ghana. A year later, LifeGen tracks her down and, in the process of capturing her, kill her lover. They take her to a Tower in the Caribbean and… The plot of The Book of Phoenix is basically this happened and then that happened and then this happened, with no discernible structure or rigour to it. Early on, Phoenix releases an alien kept captive in Tower 7, and mentions in passing there are colonies on Mars. Both are mentioned only once more in the novel, also in passing, near the end. Ideas are just picked up by the author for world-building when needed, then put down and forgotten. As far as I know, The Book of Phoenix is not being marketed as YA, although it seems to exhibit many of the hallmarks – a heroine with super special powers that have no grounding in either story or world or science or logic, world-building with no rigour and very little sense, and a plot that jumps from one unconnected incident to the next. Would I have thought The Book of Phoenix a better book if it had been badged as YA? Unlikely – though it would have at least “explained” some elements of it. I’ve discussed Okorafor’s novel with other people, and I seem to be alone in finding it unimpressive. So it goes. 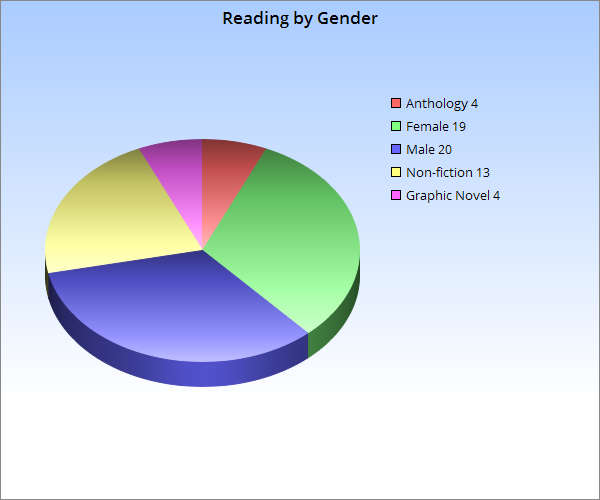 Categories: book review, books, reading diary 2016 | Tags: dbc pierre, dh lawrence, jean-claude mézières, jo clayton, joe macinnis, jp smythe, nnedi okorafor, pierre christin | Permalink.